The Migos members are making serious waves in spite of various legal issues surrounding some of its members, the Atlanta based hip-hop trio is a rap group made up of three African-American rappers Quavo, Offset and Takeoff. They became very popular in the year 2013 when their single Versace from their mixtape YRN (Young Rich Niggas) ranked 99 in US charts. Since then, the song went viral, giving the Migos members a steady rise to the top. The rap group was founded in 2008 and is managed by Coach K though they were formerly managed by Atlanta-based rappers Gucci Mane and Young Jeezy. The rap trio was joined by Canadian rapper and singer Drake for an official remix which was performed in 2013 at the iHeartRadion Music Festival. The Migos members released their first full-length album Yung Rich Nation in 2015 under the label of Quality Control Music and 300 Entertainment and in January 2017, they released their second music offering Culture under the same record labels. The album topped the Billboard charts on the first week of release, Culture II was released in 2018 and was their second chart-topping album in the United States. The group went on to win BET Awards for Best Group and Best Collaboration – 2017 and 2018 respectively. The Three-man hip hop music group is one of the blood-related groups around the world. Migos was formed by Quavious Keyate Marshall whose stage name is Quavo, with his nephew, Kirshnik Khari Ball (Takeoff) and Kiari Kendrell (Offset) who is also Quavo’s cousin. Initially, the group went by the name The Polo Club before settling for Migos. Below are all you need to know about each of the Migos members. The first member of the rap group is Quavious Keyate Marshall who was born on April 2, 1991. He is popularly known by his stage name Quavo. The 10 inches taller than 5 ft rapper, songwriter and music producer was born in Athens Georgia to mother Edna Marshall, a hairdresser. His father died when he was just 4. He attended Berkmar High School where he played football but later dropped out a few months before graduation to pursue his music career. 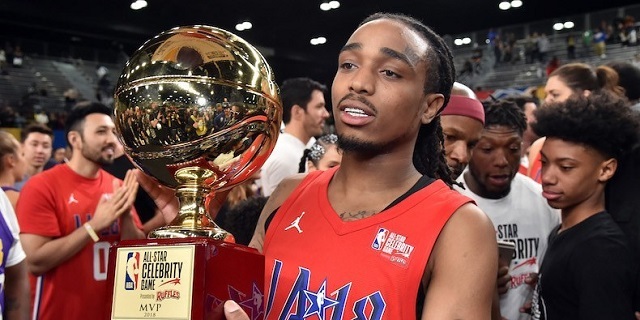 The rapper apparently is good in making music but also in sports as he led the Clippers to win against the Lakers in the NBA All-Star Celebrity game with a good 19 points as the ball found its way severally into the net, earning him the 2018 MVP Award of the game. Music so far has brought him not only fame but wealth as he has an estimated net worth of about $16 million. Real name Kirshnkik Khari Ball. The American rapper was born on June 18, 1994, in Lawrenceville, Georgia in the Gwinnett County, Atlanta. Takeoff was raised by Quavo’s mother and is a cousin to Offset. The 5ft 9in tall rapper caused a stir on July 7th 2017 when he was barred from boarding a flight from Atlanta to Iowa for not complying with flight attendants directives. He is equally said to be worth a little above $16 million. 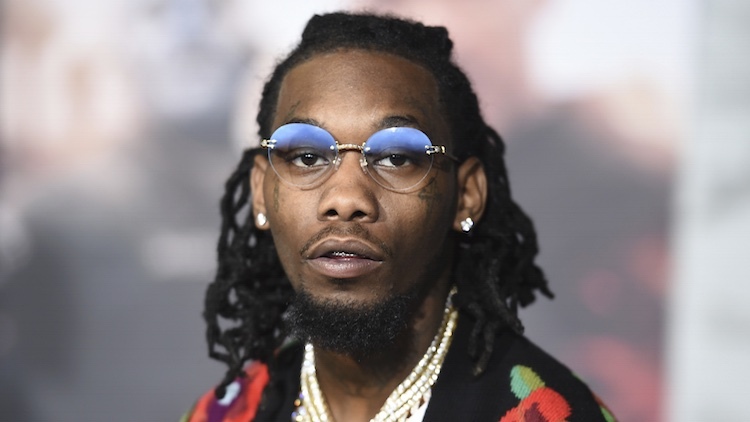 Kiari Kendrell Cephus (Offset) was born on December 14, 1991, in Lawrenceville, Georgia Atlanta; he grew up with Quavo and Takeoff who were his uncle and cousin respectively. He, Offset, was the only married folk among his buddies, he was formerly married to American female rapper Cardi B on September 2017 before she announced their split over the social media on December 5, 2018. A father of 4, the rapper has two sons and a daughter from a previously undisclosed relationship and one other child, a daughter named Kulture Kiari Cephus with Cardi B. The 5 ft 9 inches musician, more often than not, is the one who usually gets into big trouble with the long arm of the law. He was imprisoned in 2013 for violating his probation for an earlier crime committed (burglary, felony and theft). He was also charged with assault and battery, inciting a riot whilst in prison on May 2nd 2015 and he spent some months in jail after a sizable amount of marijuana was found on him when his group was busted during their tour. Where Are The Migos Members From? The Migos members grew up together in the rough streets of Gwinnett County, not far from Downtown in Atlanta Georgia. They are still based in Atlanta Georgia and set to headline Wireless festival in London’s Finsbury Park, from 5 to 7 July 2019. In spite of the fact that the Migos members have been in the game for close to a decade, the rap group’s mainstream success began in 2017 as a group. Their net worth is pegged at $50 million and roughly $16 million divided among them individually.